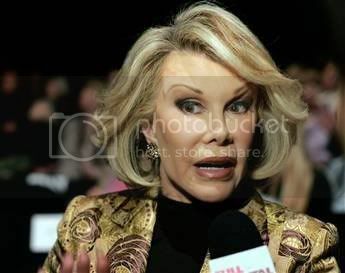 Joan Rivers has hit out at Angelina Jolie – branding the actress "stupid". The 75-year-old comedian slated the actress and mother-of-six during an interview on GMTV. She said: "Well, I’ve worked with stupid actresses – I’ve worked with Angelina Jolie – she saw a sign that said ‘Wet Floor’ one time, and she did! "I mean she’s attractive, but not a bright girl. Stunningly beautiful but stupid. She would have asked Stevie Wonder, ‘What’s your favourite colour?’" It’s not the first time Joan has attacked celebrities. She slammed Victoria Beckham for being "arrogant" and was thrown off the set of Loose Women after calling actor Russell Crowe a "f***ing s**t". Is Angelina Jolie Wasting Away?